Plex is a media player system and software suite comprising many player applications for 10-foot user interfaces, and an associated media server that organizes personal media stored on local devices. Based on on XBMC whose strength is its ability to order you media in various ways, it's easy to install and use. For example, it has a special folder to keep new media an another special folder where it keeps movies or TV shows that you haven't finished. In this article, we will show you what media formats are supported by Plex and how ot use it. Like other XBMC-derived media players, Plex uses FFmpeg and other open source libraries to handle all common multimedia formats. It can decode these in software, using hardware video decoding where available and optionally passing-through AC3 or DTS audio directly to an external audio-amplifier/receiver via S/PDIF. Plex video-playback uses a video-player "core" which was originally developed in-house by the XBMC developers as a DVD player for DVD-Video contents, including the support of DVD menus. This video-player "core" supports all the FFmpeg codecs, and in addition the MPEG-2 video codec, and the audio codecs DTS and AC3. PAPlayer handles a very large variety of audio file-formats. Plex handles all common image file formats with the options of panning, zooming and slideshow with "Ken Burns effect", with the use of CxImage open source library code. For details, please refer to Plex's official site - What Media Formats are supported? Note: Media compatibility and video quality limitations vary by device. Plex for Smart TVs uses playback systems provided by the TV manufacturer. In some cases, formats that can be played by DLNA or from a USB drive on a device may not be available for direct playback by Plex. Files such as ISO or IMG and folder structures such as VIDEO_TS or BDMV are generally referred to as "disk image" formats because they're basically "cloning" the structure and content from a DVD or Blu-Ray optical disc. Plex does not support the use of the "disk image" formats. If you wish to use those with Plex, you should convert them to a compatible format. To encode/re-encode unsupported media content for Plex, EaseFab Video Converter Ultimate is recommended. The program is an all-in-one video, DVD and Blu-ray solution. With it, you can transcode all the media formats of videos to Plex supported formats with fast encoding speed and excellent output video quality. 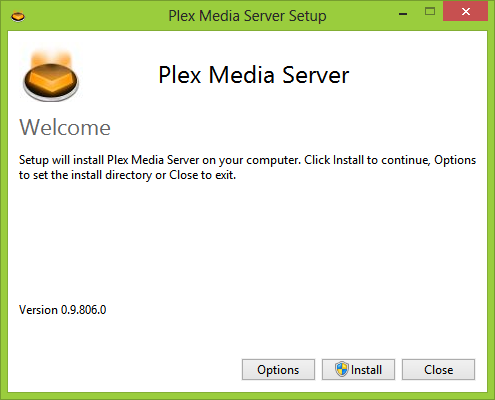 Guide of How to Install Plex Media Server? The Plex installation is straight forward on a Windows PC and there is no special tweaking needed. You must create a Plex account during the installation which is free. 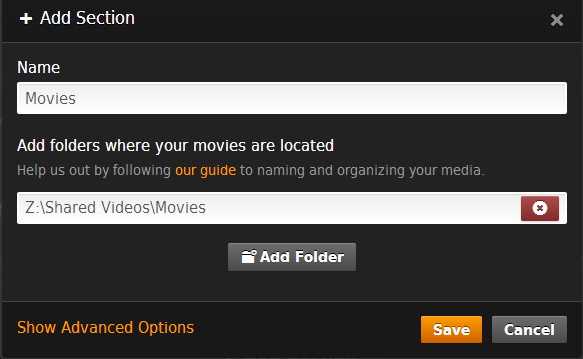 You must also tell Plex which folders contain your media. Plex is free. The only charge for Plex is for something called PlexPass which allows you to share media or to share your media, sync media with another device, and get the Android client for Plex. PlexPass is charged on a monthly rate of $3.99 per month. The free version of Plex is quite usable on its own. You can use it for a home theater PC or as a media server for your DLNA media player or smart TV. It is also quite usable with Android devices with DLNA players. The Plex Android app isn't required. > Resource > Instructables > Plex Supported Media Formats and How to Use It?